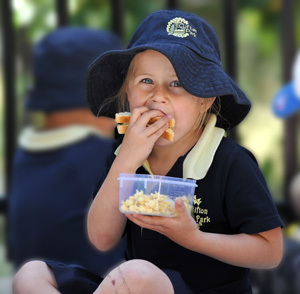 Established in 1988, Clifton Park Primary School is located in the Australind area, north of the City of Bunbury. It is nestled in an attractive bushland setting on Lucy Victoria Avenue in the picturesque Clifton Park area. 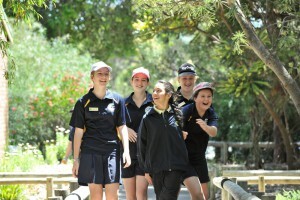 Our school provides for the local community and welcomes students from the greater Bunbury area. The Clifton Park Primary School building is a practical and functional lineal design consisting of six primary teaching areas, an Art/Craft Room, a Music Room, Library/Resource Centre, Administration Centre and a Pre-primary Centre. There is also a purpose-built Early Childhood Centre. The Year One to Six classrooms are all linked by a central corridor, which serves as a venue to display students’ work and as a small group instructional area. The school utilises its efficient design and its excellent facilities to maximise the learning potential of each child. Clifton Park currently has around 200 students. Our professional staff are committed to providing each student with opportunities for growth academically, socially and emotionally. Our school aims to make the students’ primary school years memorable and enjoyable whilst building a solid educational foundation that fosters lifelong learning habits. Our school offers a comprehensive curriculum emphasising Literacy and Numeracy as well as including excellent Physical Education, Technology, Music, Art and Japanese programs. 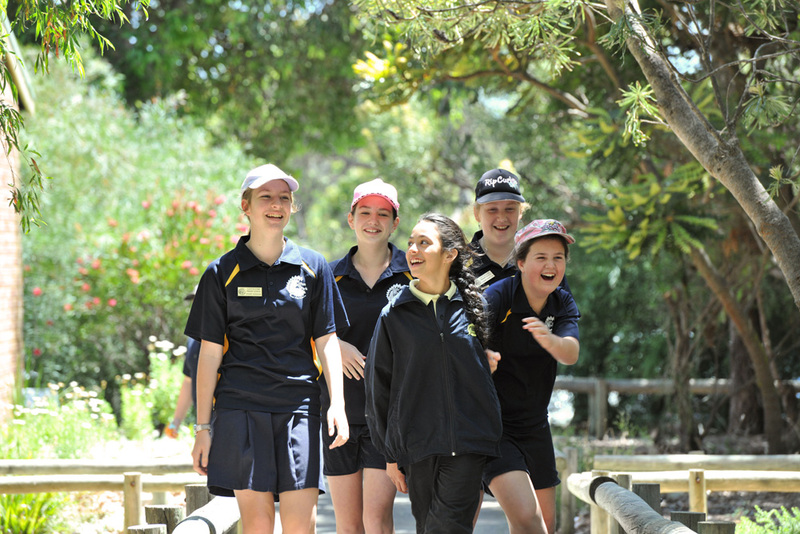 Clifton Park also has an effective functioning values-based pastoral care approach and student behaviour program. There is a strong sense of community in the Clifton Park area. The school enjoys active parent participation and this strong partnership has contributed to the outstanding tone and friendly nature of the school. Community involvement in the school exists on several levels: Through parent bodies such as the active and hard working Parents and Citizens Association and a decision-making group known as the School Management Committee, which performs the functions of a School Council. Staff also encourage parents to make regular enquiries regarding student performance as well as to play an active role in their child’s’ education at home and at school when the opportunities arise. More detailed information about our school is available by contacting the school by telephone or e-mail. Notes and forms for your child’s class are included in the Forms page. Clifton Park Primary School P&C runs a book club in conjunction with Scholastic Books. The coordinators this year are Selina Prosser and Sarah Watkins. Book Club is a great way to purchase books for your children as the books are at a very reasonable price and the school receives points for each dollar spent, this goes towards books and resources for the school and classrooms. Each child will bring home a Book Club catalogue twice a term and it is as simple as filling out the order form and returning it to school by the due date. Students arriving at school prior to 8.35am are to stay outside the office area until the 8.35am siren. Students arriving at school after 8.50am are to report to the office for a late note to be taken to the teacher. To comply with our Duty of Care regulations, the school must be able to account for any student absences from school, whether part or full days. If your child arrives at school after school has commenced for the day, or if your child needs to leave the school before the end of the school day, a Student Entry/Exit Slip is available at the office. This must be completed and handed to the classroom teacher. If your child has not attended school for any reason, eg illness or holiday, a Student Absence Slip must be completed and handed to the classroom teacher. Alternatively, you may wish to phone the office where the information will be entered onto the class roll. In accordance with DOE guidelines, the school has formulated a policy on the administration of medication to students at school. Parents must complete a Medication Authorization Form prior to any staff member administering medication to your child. Copies of this form are available at the office. It is also critical that, if your child has any allergies, an action plan is prepared and discussed with staff to ensure we are aware of your child’s needs and that your child receives the best possible care in the event of an allergic reaction whilst at school. Please don’t send students to school when they are unwell. If your child has diarrhoea or vomiting please exclude them for 24 hours after the last incident of diarrhoea or vomiting. With infectious diseases it is often necessary for children to be excluded from school for a period of time. Please refer to the Communicable Diseases Quick Reference Sheet for further information. Parents now have the convenience of paying for excursions and fees by direct debit. The school has a fully constituted P&C, which is a member of WACSSO. The P&C meets twice a term, roughly in Weeks Three and Eight. All parents, guardians and community members are welcome to attend and to become voting members of the P&C. The cost of membership is $1.00 per person, payable to the P&C treasurer. All parent representatives on the School Management Committee must be financial members of the P&C. The P&C offers a forum through which parents can contribute their ideas on school matters, and become involved in both fundraising and social events which promote the wellbeing of your children in our school. Clifton Park Primary School requires all students from Pre Primary onwards to wear school uniform. The coordinators this year are Kristy Hamilton and Sharman Lee. Consult the Term 1 Planner 2019 for opening times of the Uniform Shop. The shop is located in the undercover area. School uniform items are sold at a reasonable cost. Second hand uniforms are also available. Please note that the uniform orders are processed by the uniform co-ordinator through the P&C. Navy blue tracksuit pants, long pants or shorts with a navy blue short or long sleeved polo with lemon piping. Navy blue jumpers, cardigans or jackets. No denim is allowed. 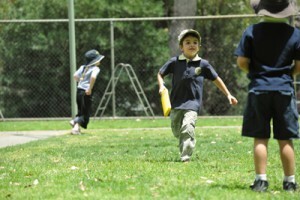 All year round – Students are required to wear hats in Term 1 and 4. They are optional in Terms 2 and 3. Broad brimmed hats are recommended. Students must wear footwear at all times. Joggers, shoes or sandals are suitable footwear. At Clifton Park we promote a healthy diet. It is encouraged that students choose healthy options for their lunchbox. Cool drinks are banned from school lunches. We are an ‘Allergy Aware School’ and have several students with severe allergies to nuts. As a precaution to this potentially life threatening allergy we are allergy aware in our lunchboxes. We are a “Health Promoting School’.